Why We Need Self Discipline? 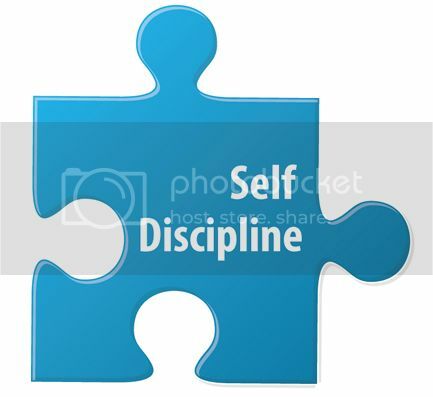 Self-discipline is one of the most important qualities that we should have in our life. You need self-discipline to overcome your weaknesses and pursue what you desire. Most of the time, I will try to have self discipline to get out of my comfort zone by learning more new things to expand my skills and knowledge at my workplace. I know that if we want to grow then we must produce different results and achieve greater success in our life. Besides that, I always focus on breaking down the tasks into a series of smaller steps so it will be much more manageable. This is because making something fairly easy to accomplish each day can reduce my stress level at work. Plus, this is a great way to build my work momentum and set out to do something without excuses or delay. Without self discipline, you will probably have a tougher time pushing yourself to work on. So, you should promise yourself that you can do whatever to achieve your goals every day. Make a commitment to yourself as often as necessary to make sure that you stick to your plans. Self-discipline is the outcome of decisions that you make each day. How many times have you done that? How’s your result? We should practice to be discipline every day in order to achieve success in our life. This entry was posted on Wednesday, April 4th, 2012 at 10:51 am	and is filed under imDavidLee Life. You can follow any responses to this entry through the RSS 2.0 feed. You can leave a response, or trackback from your own site.